A Tennessee lawmaker has called for an investigation into whether Senate candidate Phil Bredesen's campaign treasurer, who is also an appointed board member of the Tennessee Valley Authority, violated the Hatch Act, which bars executive branch employees from soliciting political contributions. The complaint from Rick Tillis, a Republican member of Tennessee's House of Representatives, concerns Virginia Lodge, who was appointed to TVA's board of directors by Barack Obama in 2012 and is listed as the treasurer for Bredesen's Senate campaign. Lodge was featured in a recent ad that was used by the campaign in a fundraising plea, which Tillis believes crosses the line set by the Hatch Act. Tillis argues in his letter to the U.S. Office of Special Counsel—a copy of which was shared with the Washington Free Beacon—that Lodge's name appearing on campaign materials soliciting contributions is a blatant violation of the statute. He points to an advisory opinion issued by the Office of Special Counsel in 2015 on the specific issue of whether it would be a violation for a federal employee like Lodge to serve as treasurer for a political campaign. The answer was that it would be permitted for the employee to be treasurer, but the employee "may not allow [her] name to appear anywhere on materials soliciting political contributions for the candidate." "Pursuant to your office’s August 6, 2015, advisory opinion, being a treasurer for a political campaign, in and of itself, does not constitute a violation of the Hatch Act," Tillis wrote in his letter, sent Monday. "However, this opinion does make it clear that a federal employee ‘may not allow [her] name to appear anywhere on materials soliciting political contributions for the candidate.'" "Considering this advisory opinion, I ask that you review and investigate Ms. Lodge’s appearance on Mr. Bredesen candidate website in which a contribution is sought," Tillis wrote. "Her name appears on this page: www.bredesen.com/press-releases/liar and the same webpage asks for a political contribution in multiple places." Bredesen's campaign did not respond to a request for comment on the accusation of a Hatch Act violation. Lodge was used by the Bredesen campaign to give a testimony as a former employee of Bredesen on his handling of sexual harassment allegations, an issue that has been referenced frequently by his Republican opponent, Rep. Marsha Blackburn (R., Tenn.). 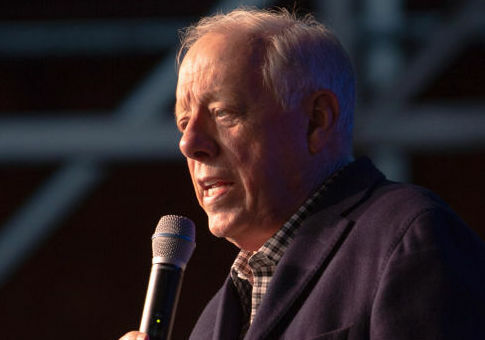 Bredesen came under fire as Tennessee's governor for shredded documentation of harassment claims against his top officials. He also argued workplace harassment was inevitable with women in the workplace. "Anytime you mix men and women together in a work environment there's going to be issues," Bredesen said in 2005. This entry was posted in Politics and tagged 2018 Election, Phil Bredesen. Bookmark the permalink.